CLICK HERE TO LISTEN TO AUDIO FROM THIS STORY – 0:43 secondsYoung children living near the former Exide battery recycling plant in Vernon have higher levels of lead in their blood than those living farther away, but the age of their homes may be as important a factor as proximity to the facility, according toÂ an analysisÂ by the California Department of Public Health released Friday. State environmental officials declined to draw definitive conclusions about the role lead emissions from the plant may have played in the elevated levels, sayingÂ the studyÂ was not designed to determine the sources of the lead. The analysis did not measure other potential sources of lead, such as that emitted from cars on nearby freeways or lead paint in homes, said Gina Solomon, deputy secretary for science and health at the California Environmental Protection Agency. The study was also limited in that it only looked at one year of data, and it involved very small numbers of children in the area closest to Exide, Solomon added. The analysis will be used “to further target and refine our efforts” to clean up lead from soil at homes in a 1.7-mile radius around the facility, said Ana Mascarenas, assistant director for environmental justice at the California Department of Toxic Substances Control. Public health researchers analyzed blood tests of Â nearly 12,000 children under age 6 in an area reaching up to 4.5 miles from the now-closed plant. The tests were from 2012, the Exide facility’s last full year of operation. Only about 2,000 of the nearly 12,000 children lived in the 1.7-mile cleanup zone, said Solomon. The analysis found that 3.58 percent of young children living within one mile of Exide had blood lead levels of 4.5 micrograms or more per deciliter of blood. That’s the level the state has set as significantly higher than average and meriting measures to reduce future exposure. That’s compared with 1.95 percent of children in Los Angeles County overall who showed lead levels of 4.5 micrograms or more in 2012. In the broader study area, reaching out to 4.5 miles from the plant, 2.41 percent of children were in that category, according to the analysis. But when researchers factored in the age of homes, the picture shifted. Of youngsters living in homes built before 1940, 3.11 percent had elevated blood lead levels, while only 1.87 percent of those living in homes built after 1940 had high levels. As the analysts adjusted the data to account for other factors, “the effect of age of housing persisted,” while “the effect of distance from Exide diminished greatly,” said Solomon. And the older the homes, the greater their impact, said Solomon. The Department of Public Health delved more deeply into this question by performing a sub-study, comparing the ages of the homes of a group of nearly 300 children who had 4.5 micrograms or more with those of a group with lower levels. The researchers found “a very large increased risk” of elevated lead levels for children living in homes built before 1925, she said. The study found that younger boys were at higher risk as well. 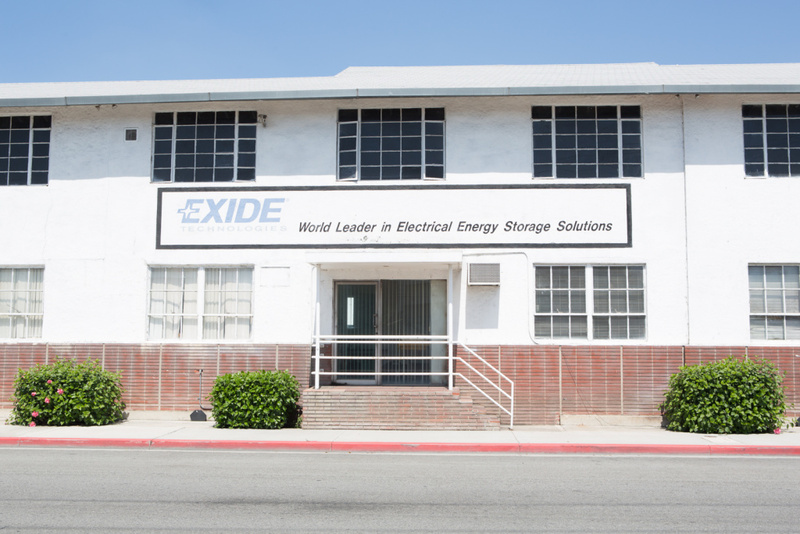 Exide smelted batteries in Vernon until last year, when the state ordered it to shut down after it operated for decades on a temporary permit. At the time, Toxic Substances Control said a few hundred homes closest to the site would be tested and cleaned up. Last August, the agency said up to 10,000 properties could be contaminated in a 1.7-mile radius around the smelter. The state Legislature is in the process of approving Gov. Jerry Brown’s request for $176.6 million in emergency funding to expedite the testing and cleanup of those properties. Â Children living near a now-closed Vernon battery recycling plant had higher levels of lead in their blood than those living farther away, according to an analysis by California health officials that is certain to increase pressure on state regulators to accelerate a massive cleanup of surrounding neighborhoods. TheÂ analysisÂ released Friday by the state Department of Public Health found 3.58% of young children within a mile of the Exide Technologies facility had elevated levels of the poisonous metal in their blood in 2012, compared with 2.41% of children living at a greater distance. The analysis found 285 children with elevated blood lead levels in southeast Los Angeles County communities near Exide and noted â€œa moderate increase in risk associated with living less than a mile from the plant.â€ It also concluded that children living near the facility, about five miles from downtown Los Angeles, were nearly twice as likely to have high blood lead levels as children countywide, where the rate was 1.95%. State environmental officials emphasized that emissions from the lead-acid battery smelter were not the only contributor to the higher lead levels detected. Exposure to lead-based paint in older homes near the plant also appeared to play a significant role, they said. After controlling for the age of housing and other known risk factors, the effect of living near Exide on childrenâ€™s blood lead levels was diminished but still detectable, according to the study. The stateâ€™s analysis examined blood test results from 12,000 children living within 4.5 miles of the Exide facility in 2012, the last year it was in full operation. It included only children under age of 6, who are at greatest risk for developmental problems, learning disabilities and other harmful effects of lead. The state evaluated census tracts across more than half a dozen communities, mapping how many young children in each had levels of 4.5 micrograms of lead or more per deciliter of blood. Officials consider that level to be equivalent to the 5 micrograms per deciliter deemed elevated by the U.S. Centers for Disease Control and Prevention. State officials, who have faced criticism from lawmakers and health experts for not using such data sooner, said they were concerned by the findings and would use them to help target testing and remediation across an area of 10,000 homes as well as schools, day-care centers and parks. The state Department of Toxic Substances Control is overseeing the cleanup of properties contaminated by decades of air pollution from the facility, which shut down more than a year ago under a deal with federal prosecutors. The closure followed years of emissions violations and concern from community groups and elected officials in the working-class Latino neighborhoods near the plant. The census tract with the highest percentage of children with elevated blood levels in the area studied â€” 6.09 % â€” was in East Los Angeles directly north of the 60 Freeway and bounded by East Cesar E. Chavez Avenue, Gage Avenue and Indiana Street. Areas of Bell, Cudahy, Huntington Park, Maywood and the unincorporated neighborhood of Walnut Park also had some of the highest lead counts. Tracts with older housing had higher rates of children with elevated blood lead levels, the analysis found. So did communities to the north and west of the facility. Lead is a powerful neurotoxin with no safe level of exposure, putting young children who ingest the toxic metal in contaminated soil, dust, water and paint at risk of lifelong developmental and behavioral problems. The Times reported last month that California officials had data showing elevated lead levels in the blood of hundreds of children near the plant but had not used the information to guide the cleanup of homes and yards that began more than 19 months ago. Regulators have been using soil sampling results, wind patterns and proximity to the facility, among other criteria, to determine which properties are prioritized for cleanup. But public health experts faulted the state for not also using blood lead data to guide the response, as has been done by authorities in Flint, Mich., and other communities afflicted by lead contamination. Soil sampling has found that about 99% of homes in the area have lead levels that will require cleanup, with about one-quarter exceeding 1,000 parts per million â€” the state’s threshold for hazardous waste. So far, about 200 homes of 1,200 tested have been cleaned. Toxics regulators requested the census-tract-level analysis in September after a series of unsuccessful attempts to obtain blood lead data from state and county health agencies. After criticism from state lawmakers, the state Department of Public Health provided the analysis to the Department of Toxic Substances Control last week. Gov.Â Jerry BrownÂ has proposed spending $176.6 million to test 10,000 homes within 1.7 miles of the plant and clean the roughly 25% most contaminated properties. Funding legislation is moving its way through the state Legislature after the Brown administration dropped its demand that the cleanup be exempt from review under the California Environmental Quality Act. More money will ultimately be needed for completing the cleanup, the largest ever undertaken by the state toxics department. The effort is expected to take years and cost hundreds of millions of dollars. Ending the week on a particularly grim note, the State Department of Public Health released a new analysis Friday that shows that children living within a mile of the site of the former Exide battery recycling plant in Vernon have significantly higher amounts of lead in their blood than those living farther away. The study found that 3.58 percent of these children had elevated lead levels in their system, as opposed to 2.41 percent living within 4.5 miles of the facility and 1.95 percent in all of Los Angeles County, asÂ reported by theÂ LA Times. The high levels of lead can’t be completely blamed on theÂ disastrous mess that the plant createdwhile it was in operation; officials have noted that many of the homes in the area were constructed before 1978, when lead-based paint was banned from use in houses. But USC preventative medicine professor Jill Johnston tells theÂ TimesÂ that the report strongly suggests that the battery recycler is at least partly to blame. “While there are multiple sources of contamination harming southeast Los Angeles children, this report indicates that those living near Exide face an increased burden of lead, likely associated with the facility,” she said. In children, exposure to lead can impact growth and development and cause damage to the brain and nervous system. According to theÂ Centers for Disease Control, there is no safe blood lead level for children. Earlier this week, state legislatorsÂ introduced a planÂ to spend more than $175 million testing homes close to the plant and cleaning the most severely contaminated. TheÂ facility shut downÂ in March of last year, after cutting a deal with the US Attorney in which the company admitted it had been illegally storing and transporting hazardous materials for years and agreed to pay for cleanup costs. As part of the deal, Exide Technologies will not face any criminal charges for the damage caused by its plant. Children who live close to the now-closed Exide battery-recycling center conclusively have higher levels of lead in their blood than those who live farther away, say California state health officials. Per an analysis released by the California Department of Public Health on Friday, elevated levels of lead were found in 3.58 percent of the blood samples drawn from children below the age of six in 2012 living within a mile of the defunct Exide plant, according to theÂ L.A. Times. By contrast, the rate for children who lived more than a mile from Exide, but still in the vicinity, the rate is 2.41 percent. Both of these values are elevated over a countywide rate of 1.95 percent. However despite this, state officials failed to officially link the elevated levels of lead toxicity directly to the Exide facility. While the Exide plant could certainly be a factor, officials also cited other environmental concerns and even lead paint embedded in the older housing stock common throughout Southeast Los Angeles County. For example, of the children tested 2.11 percent of those who lived in homes built prior to 1940 had elevated levels of blood lead, contrasted 1.87 percent of those in newer buildings, according toÂ KPCC. Gina Solomon, deputy secretary for science and health at the California Envrionmental protection agency, said to KPCC that â€œa very large increased riskâ€ of elevated blood lead levels was found for children living in homes built before 1925. At the same time, children who lived closer to the Exide plant definitively had higher rates of lead toxicity than those who lived farther away, regardless of the age of the housing stock they lived in. The picture ultimately painted by the report points to the relatively poor environmental conditions that lots of people who live in Southeast L.A. County have to live in daily. Right now the state is undergoing a massive cleanup effort afterÂ soil tests revealed 99 percent of homes in the area tested positive for lead contamination.